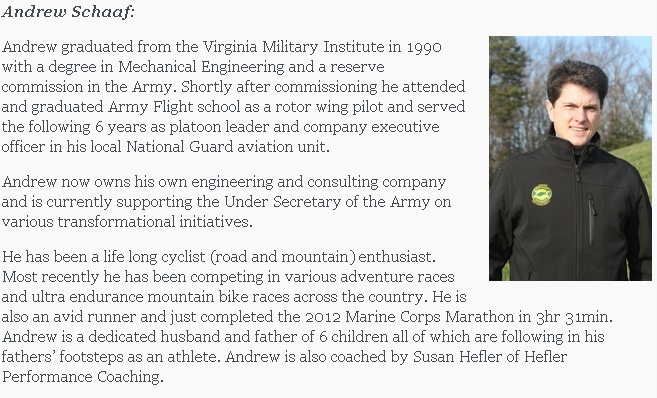 TBL Mechanic Daniel Wilcox is wrenching for Race Across America Team Green Beret Foundation. He is sending us updates throughout his adventure. Well, it’s finally here – flying out to San Diego this morning to meet up with Race Across America Team Green Beret Foundation – known as TeamGBF. This all started couple months ago – while installing Lowe’s storm door at new customer as part of my FT handyman job at Rick’s Handyman Services of Alexandria, I asked to use restroom and found it full of many cycling mags – so when I asked cust Dave Viens if he was cyclist, he gave me an odd look and just said – let me show you our garage – and hanging out there were about 20 bikes!!! 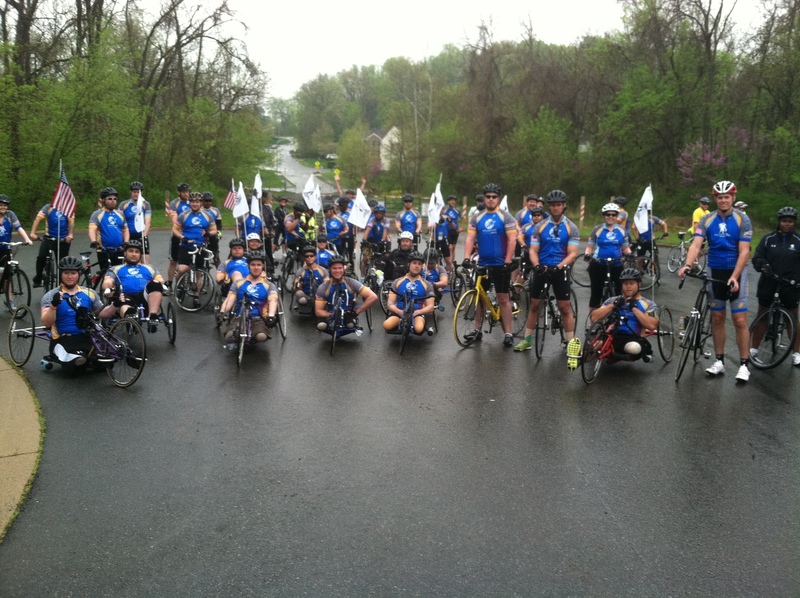 So we got to talking…..Dave told me he was planning to do RAAM with a 4 man team. Last year I had followed Len Forkas on his solo RAAM with great interest – especially since my cycling buddy Steve G. was crewing! Dave asked me along that weekend on a 54 mile training ride, where I met the rest of the racers – Andrew Schaaf, Gino Elsa, and Dave Johnson. On the ride, I sort of jokingly asked if they needed a mechanic for their RAAM race – and after we all talked it over next day they asked me to join them! They are covering my flight but I am taking time off and wrenching pro bono. Some of you know me from my being mechanic at the The Bike Lane Reston store! Their team prep started last August when Dave V decided to do RAAM with no ultra experience – but had done couple 100+ mile off-road mountain bike races. He started gathering interest and scouting for others…it slowly morphed into current members. Some of you may know of RAAM – it’s a true legend in the ultra-endurance bike racing world. It’s been going on for 30+ years. There is no prize money in this one – just the chance to race 3,000 miles and climb 170,000 feet! Then the real prep and training started! Of course, many, many, MANY long rides! They are coached by Sue Hefler, who also coached Len Forkas last year. She helped lay out their plan. Then there’s the crew, supplies, vehicles, travel,spare parts – it’s a FT job! We have about 13 in the crew, an RV which I will be working out of and helping to drive, a Mercedes Sprinter van, and Dave V’s Subaru which was wrapped by one of our sponsors. We have crew chief, nurse, nutritionist, masseuse, navigators, drivers – and only one mechanic! There are 8 bikes for primary racing – road and TT – and couple spares, along with several sets of spare wheels. The RV was donated and picked up in Phoenix. We packed the Sprinter van here with all bikes (I made a wood rack to hold them) and 2 crew drove out to Oceanside CA already. Their plan is to WIN the 50+ team competition!!! Drafting is allowed for the teams if they want – but not for solo racers – but the plan as of now is 4 hour 2 man rotations where each guy will ride either 1/2 or 1 hour then switch – day and night (with headlights!). We won’t be sleeping much I don’t think. As you might imagine, this is a daunting plan…how would you feel having to get up at 4am to ride down a mountain pas in the Rockies at 40 + mph where you will drop the chase vehicle cause the road is so narrow the car can’t keep up? Or in Kansas seeing a flat road ahead that seems to stretch forever – and there’s a 25 mph constant headwind? But these guys are very well prepared, very positive and might really win! Some family members of the Green Berets who have lost loved ones will meet the team along the route. We also put together a 20+ page color booklet with stories from these families we have made copies of. I will post here hopefully each day, with photos. Wish us a safe and fast race…. Anne Mader, owner of the Bike Lane (locations in Reston and Springfield, VA), recently met with newly-appointed department of Interior secretary, Sally Jewell, to discuss the future of America’s great outdoors. She convened with other stakeholders to explore public-private partnerships to better connect youth and families to the great outdoors. Q: You just participated in a high-profile meeting with Interior Secretary Sally Jewell. What was the premise of the meeting? A: The premise of the meeting was to celebrate national park week, discuss ways how we can get more kids and families outdoors, and help them create a long lasting connection with nature. 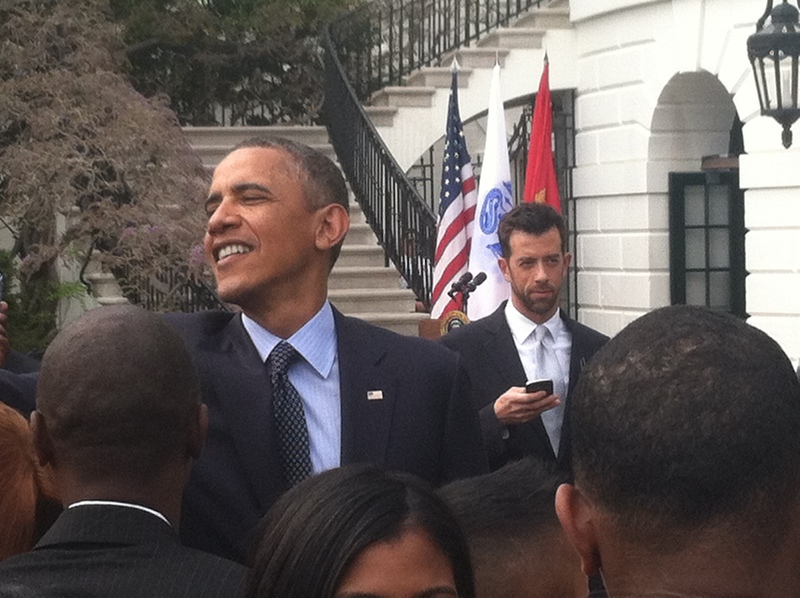 Q: Who all was in attendance? A: The majority of attendees were from non-profits organizations. Tom Boyle from Gore-Tex and I were the only ones there from the bike industry. Q: What were your main takeaways from the meeting with Secretary Jewell? A: Creating meaningful partnerships between the parks, public, and private groups is of the utmost importance. If we want our beautiful parks to be around for our grandchildren, we all need to start working together to preserve and sustain them. This point especially resonated with Sally Jewell, being the former CEO of REI who has always put a premium on stewardship. She really understands the business part of it as well which is refreshing. 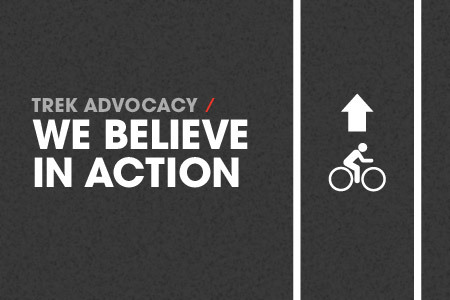 Q: From your experience, what can other bike retailers do to get involved with these types of events, or advocacy in general? A: The businesses who are interested in getting involved will benefit. Advocacy takes time, money, and the results don’t happen overnight which can be frustrating for some. Find a way to say yes to your local groups, they really are the ones getting more people out riding in your community. If you look at advocacy in the big picture as opposed to ‘what’s this going to get me today?’, great things will happen. 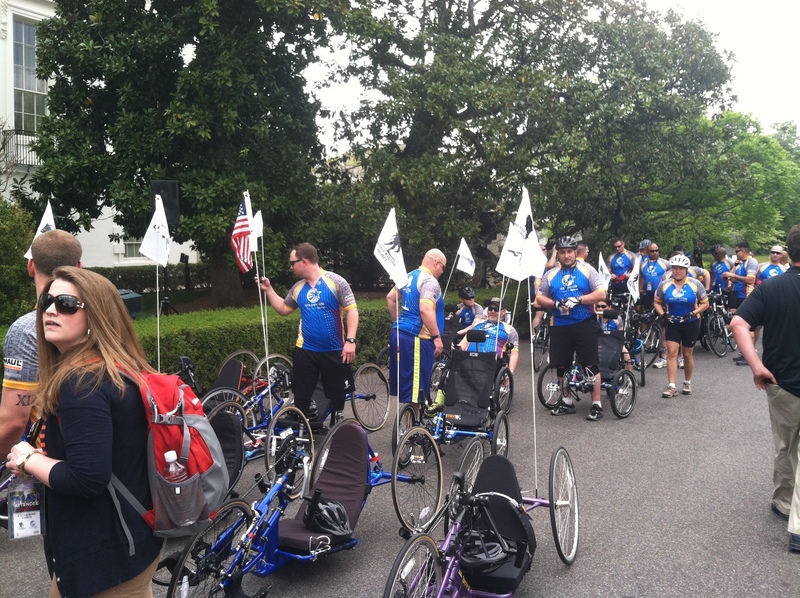 The Washington DC Soldier Ride arrived at the White House on April 20th. This is the marquee event of the year of the Wounded Warrior Project which bring the Warriors to the White House to meet the President (and even high-five him while riding two laps around the south lawn). Trek along with U-Haul and GEICO are the national sponsors of the Wounded Warrior Project’s Soldier Ride. Trek is proud to supply all of the bikes and accessories to outfit the Warriors for the 18 Soldier Rides throughout the year. The DC event is comprised of three rides—17 miles on the W & OD Trail, 17 miles around Annapolis, and 24 miles around the Rose Haven/Friendship area. Many of our customers were excited to see the riders out along the W&OD trail, near The Bike Lane Reston shop. 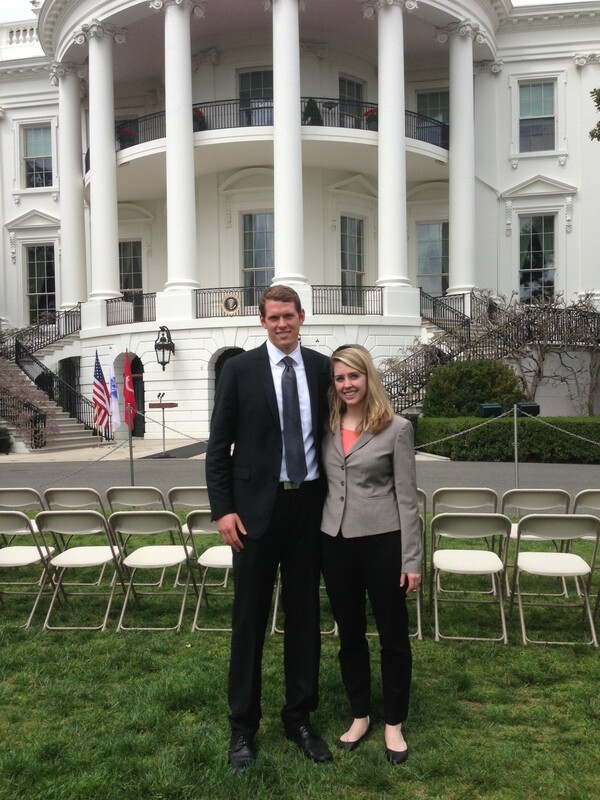 Here are a few shots from the ride and event at The White House, courtesy of our partner Trek Bicycles. She just completed her first triathlon a few weeks ago,and with the help of Team Z and The Bike Lane, this girl has come a long way in just a few weeks. Tina decided earlier in the summer that she needed to learn how to swim, and while browsing for local classes she came upon Team Z. Team Z is a supportive community of triathletes of all ages and abilities, unbounded by individual Goals, training for Sprint to Ironman distance, line chasers to national championship qualifiers. Team Z offers programs for the beginner triathlete to the advanced Ironman finisher. Team Z has a program to fit your needs. Tina joined TZ in August and couldn’t wait to get started, ” the first day I got in the pool, I couldn’t swim the whole length of the pool” says Tina. Now she is up to swimming about a mile at a time in practices. Once Tina got the hang of swimming the next step was biking. Tina has dabbled in some family mountain biking trips, but never anything too serious. 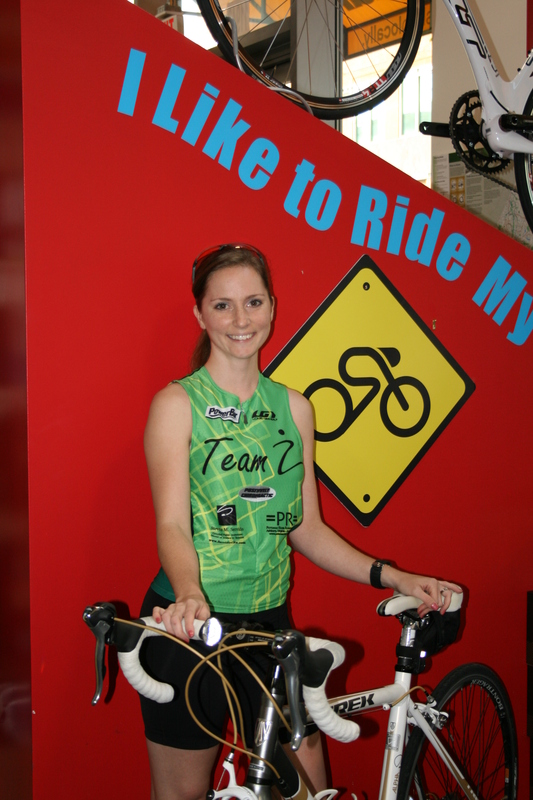 Luckily for us Tina came to us to purchase her bike, we were able to get her on 2011 Lexa SLT Road Bike. When we asked her what the most important part of her purchase for her triathlon was she replied “absolutely the bike is the most important purchase”. We asked Tina Several questions about her experience. What did you find was necessary to purchase along with your bike? -I knew I needed a bike , but I trusted TBL staff to point me in the right direction with the rest. With my bike I also purchased a flat pack, helmet, sunglasses and a pair of riding shorts. All of these things I use every time I go out for a ride. Are you thinking about upgrading anything? – I’m definitely going to get aero bars, Lights , and a computer just to name a few things on my wish list. What advice would you give to someone thinking about doing a TRI? How did you feel after completing your event? -I have never felt more proud of myself. I was overwhelmed with emotions, and filled with pride, because it was something that I accomplished all by myself. I can say I did that. – Next spring I’m going to do a 1/2 marathon, followed by an Olympic Distance Tri, and in the fall a half Iron Man. What was the hardest part of the Triathlon for you? -Obviously the swimming, the water was incredibly choppy, and there are people all around you. You are kicking people, people are swimming over and under you, its just crazy out there. At some points I had to turn over on my back just to breathe. What was your strongest event? -Definitely the biking, I improved the most on it, and it was my fastest overall split. I just felt very comfortable on my bike. I had a great fit from the guys at TBL and I was able to rest and recover on my bike going into the run. What would you say is the most important piece of advice you’ve received? -Go to a knowledgeable shop, somewhere where you can build a relationship with the staff and get tips often. Also I would reccomend joining a team right away so you have guidance and a support system. Between a educated shop & team, I’m well prepared for any new challenge I may face. We have had so much fun working with Tina and getting to know her. Tina has challenged The Bike Lane staff to do a triathlon this spring, we will be participating in The Reston Sprint Tri. Stay tuned for updates on how our training is going. We look forward to helping Tina reach her goals in the future & training with her this year!